Journalist and film critic, RAUF AHMED has made a mark in mainstream print, film and television media. Starting out as a trainee at The Times of India, he joined the Free Press Journal as a Sub-Editor in the early ’70s, rose to be the Features Editor, then Magazine Editor of the Sunday Journal. He later joined The Times of India Group as Editor of Filmfare. During his tenure, he was instrumental in relaunching the Filmfare Awards in a new format in 1990. 1n 1994, he returned to mainstream journalism as Chief of Bureau of the newly launched daily, The Asian Age, Mumbai. After a three-year stint, he moved to The Indian Express Group to edit the weekly Screen. He then joined The Zee Group as Founder Editor of a premium film magazine, Zee Premiere. In 2011, he was Content Advisor on a documentary, Bollywood: The Greatest Love Story Ever Told, produced by ShekharKapur for UTV and directed by RakeyshOmprakashMehra. The documentary was the opening film at the Cannes Festival in 2011. Rauf Ahmed is the author of Mehboob Khan: The Romance of History. 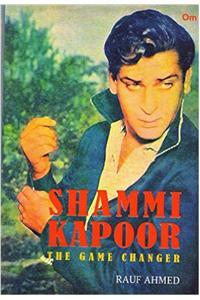 He has also written on Dilip Kumar in Bollywood’s Top 20: Superstars of Indian Cinema.